What are the needs of older people and how can robots play a role to improve their quality of life? Unraveling the conditions, opportunities and constraints of growing older, from a social, community perspective. and in promoting evidence-based policy-making processes at the local level. The ageing population in Europe will present us with huge challenges. 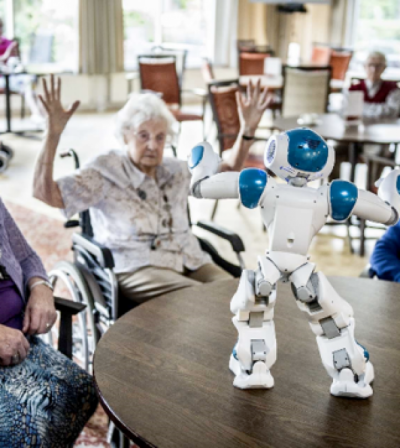 Robots can help by for example alleviating the workload for care workers or helping older people stay at home longer. In order to succesfully use Human Centered Robotic technology in this domain, we need to have a deep understanding of the needs and living environments of older people. The insights of the Belgian Ageing Studies in precisely those needs enable us to develop solutions which can directly improve the quality of life of older people, and thus eventually for all of us. De Belgian Ageing studies hebben een uniek inzicht in de noden en leefomgeving van meer dan 80.000 Belgische ouderen. Deze inzicht kunnen nu vertaald worden naar robots die de levenskwaliteit van de ouderen verbeteren.